We welcomed back Dr. Pat Hynes to the program to discuss this year's ISPCS 2018 event, the key speakers, panels, cutting edge topics and why the significance of The Turning Point theme. 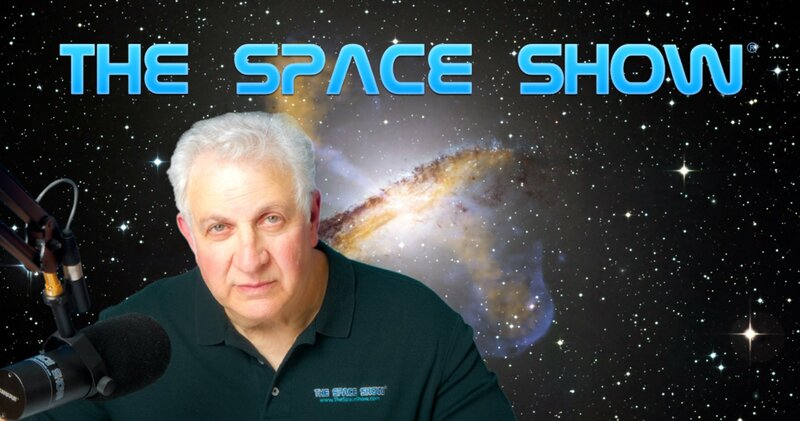 Please direct all comments and questions regarding specific Space Show programs & guest(s) to the Space Show blog which is part of archived program on our website,www.thespaceshow.com. Comments and questions should be relevant to the specific Space Show program. Written Transcripts of Space Show programs are a violation of our copyright and are not permitted without prior written consent, even if for your own use. We do not permit the commercial use of Space Show programs or any part thereof, nor do we permit editing, YouTube clips, or clips placed on other private channels & websites. Space Show programs can be quoted, but the quote must be cited or referenced using the proper citation format. Contact The Space Show for further information. In addition, please remember that your Amazon purchases can help support The Space Show/OGLF. See www.onegiantleapfoundation.org/amazon.htm. Dr. Hynes started our one segment 74 minute program by addressing my questions revolving around the 2018 event theme, "The Turning Point. Dr. Hynes spent a good portion of time explaining the importance and significance of this theme and applying it to the ISPCS 2018, mainly commercial space. Our guest worked in history with President Obama's 2010 space policy followed by the commercial space support in the current administration. We talked about the entrepreneurs such Senator Musk, the role of support with NASA and the new focus now of returning to the Moon. This was a great discussion so don't miss it. I asked our guest to connect the speakers and panels to this year's theme. Pat certainly did this for the balance of the program. Follow along with us by going to the event website, www.ispcs.com. Click on the about tab in the upper left area of the home page to follow along as Pat and I applied the speakers, the panels and the focus to the turning point now being experienced in commercial space and traditional space development. Our guest supplemented what was on the website with the turning point focus so don't miss this discussion. Let us know what you think by sharing your thoughts and comments with us on our blog for this show. Our discussion did zero in on several more focused topics. This included the regulatory environment, human spaceflight, SpaceX and NASA, and the panel with attorneys representing the launch industry to make clear what they want and expect out of the regulatory regime. Pat mentioned that they were recording the talks and they would be made available on the ISPCS YouTube channel. Our guest suggested it might take a month to get them all uploaded to the channel. Our discussion then changed topics to talk about the changes happening within academia and why academia was now an important part of the turning point culture. She cited academia along with government and industry as being key to a strong space industry. As we were nearing the end of our program, Pat quickly summarized the Thursday afternoon panels and key speakers. Make sure you see how to connect the dots with this programming to why the theme of the event was about turning points. Before we signed off, Pat talked about the development of urban spaceports, the advancing technology and some of the features of this year's symposium such as Golf Day on Oct. 9 and the small gathering at her house after the event ends on Thursday evening (invitation only). Please post your comments/questions on TSS blog for this show. You can reach our guest through her website or me. If you are attending the ISPCS 2018, let me know as we want to hear from you about the symposium on an upcoming Open Lines show. In addition, check the blog as I have posted links to the articles Pat mentioned during the program.